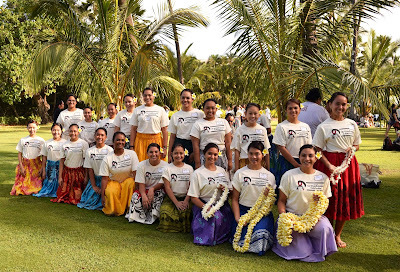 The Ladies of Na Wahine Waipahe attended the 10th Annual Lei O Lanikuhonua Hula Festival on Friday February 26 2016 in beautiful Ko Olina on the west side of O’ahu. High school students throughout Hawai’i were treated to a fun-filled day of Hawaiian language and culture as they were blessed with the opportunity of learning hula from some of Hawaii's notable Hula masters of our time. Students were also delighted to see Academy alumna "Aunty" Suzanne MacFarlane Avina, '65, who is a strong supporter of the Hawaiian culture and always provides delicious malasadas for everyone to enjoy.